One of the most prominent trends expected to continue into the middle of the 21st century is the growth of racial minority groups both in total number and percentage of the population. In fact, the total number of white people living in the United States is actually expected to peak around the year 2025 at about 200 million, and then gradually decline. 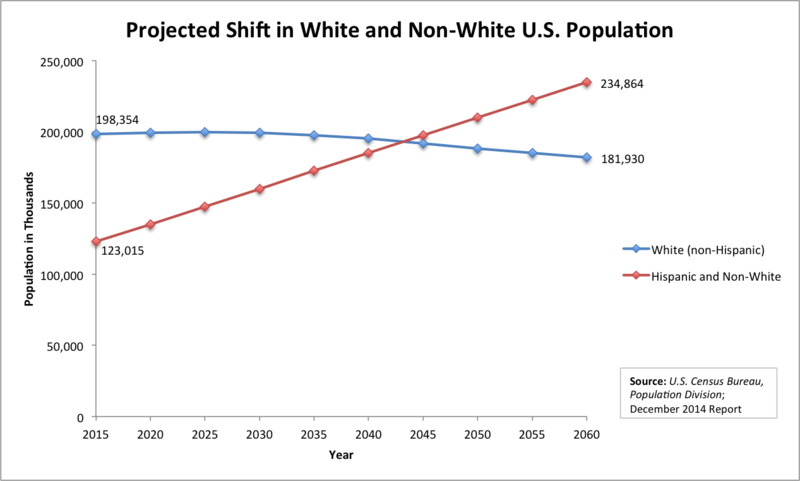 The combined population of racial minority groups will intersect with the white population around the year 2045, thereby cementing the United States as a nation without a majority race. These significant demographic changes carry many implications for voting rights, too. Election and voting policies must evolve to meet the United States’ evolving needs. For instance, an increasing number of Latinx people may require a greater investment in voting materials and ballots in Spanish. Currently, Black (67.4% in 2012) and white (61.8%) voters have measurably higher turnout rates than Hispanic/Latinx populations (43.1%) and other (45.4%) racial groups. With the greatest projected population influx within the Hispanic/Latinx and “other” categories, targeting these communities to increase voter turnout will become even more essential. Registration drives, voter education and other outreach efforts will help draw more people into the electoral process and prevent overall turnout from slipping more. Another key part of addressing shifting demographics is ensuring fair redistricting. Equitable districts are necessary for all communities to have a voice in government. Additionally, this would help elected officials become more representative of the public. As we already know, the elected officials in the United States are disproportionately white and male. With the country shifting toward a non-white majority, it is even more important that the representative government reflects the nation’s population. Welcoming in a more diverse leadership will have many positive effects, from shedding light on new and innovative perspectives to increasing civic engagement among currently disenfranchised communities. The table below has the projected numbers for each racial group in 2025, the percent of the total population each group will make up and the percent growth for each group. 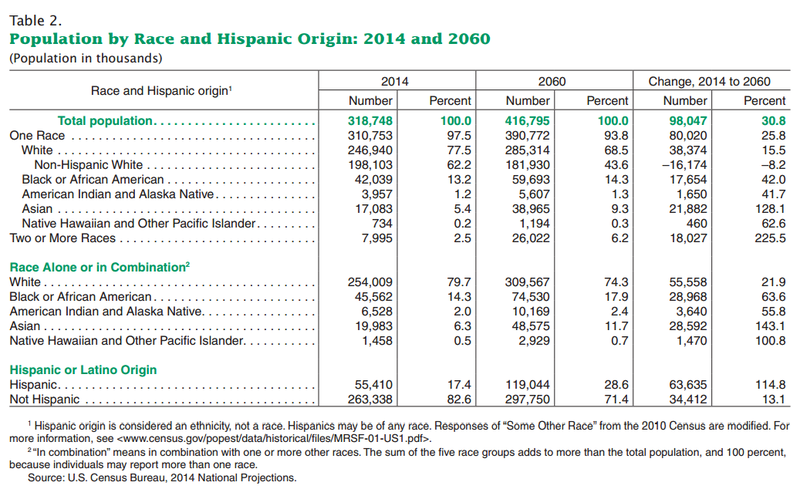 The most rapid growth is projected among Hispanics (114.8%), Asian and Pacific Islanders (128.1%) and people of two or more races (225.5%).